Almost any gift store in a tourist area or at a tourist attraction have souvenir magnets for sale. They're a reasonably priced memento that can easily be placed on the handy refrigerator door. 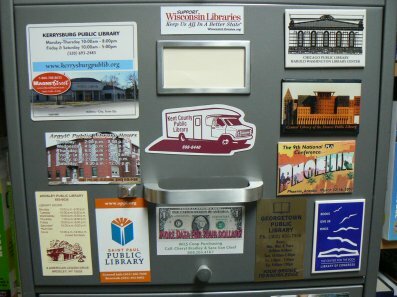 Magnets containing telephone and location information are also commonly given away by various businesses. 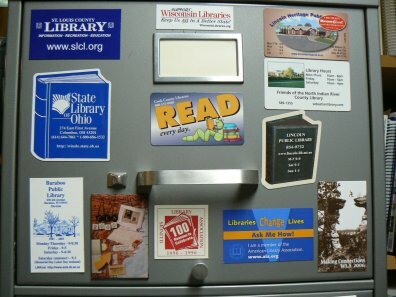 Libraries and library organizations in recent years have also made use of magnets for a variety of purposes. They make a nice collectible for the librariana collector. 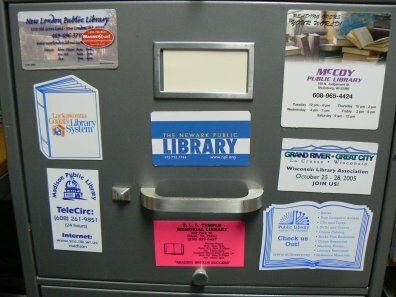 I put mine on a metal file cabinet.